There are many stunning sights around Vietnam and after spending 3 months there, we feel like we truly had a chance to explore the country from top to bottom. 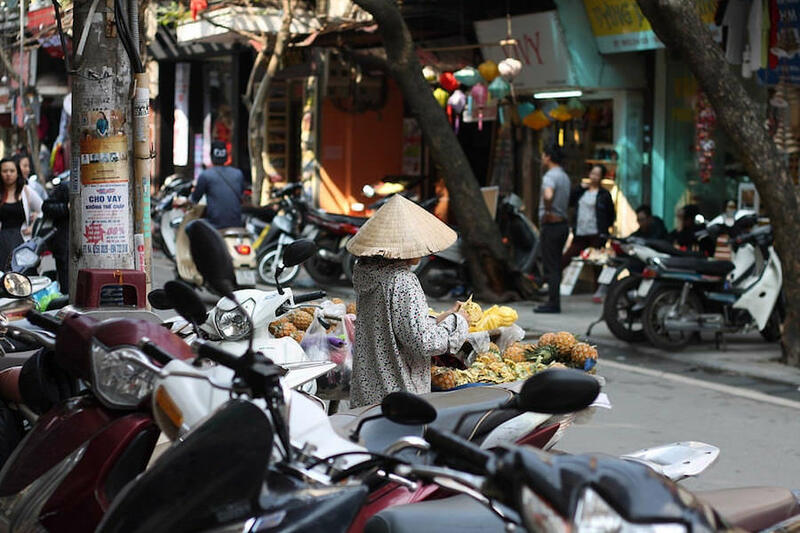 From incredible rice terraces and tribal villages in the northwest, to fast paced Ho Chi Minh City in the south, Vietnam has something for every traveller and if you’re wondering where to go in Vietnam, you’ve come to the right place. It takes a while to explore this S-shaped country lengthwise, stretching for over 1,000 miles from the north down to the south. Thankfully there’s plenty of transport available to hop between places including a pretty good railway and bus system connecting the main towns and cities. The buzzing capital of Vietnam is a great introduction to the country if you are planning to start your journey in the north. Temperature wise, Hanoi is so much cooler than any other place in Vietnam (except maybe Da Lat in the central highlands). The Old Town area is magical, studded with street food and cafes serving sinfully tasty brews. The best Ca Phe Trung (egg coffee) is served at Cafe Giang, where it was born (39 Nguyễn Hữu Huân, Lý Thái Tổ, Hoàn Kiếm, Hà Nội, Vietnam). 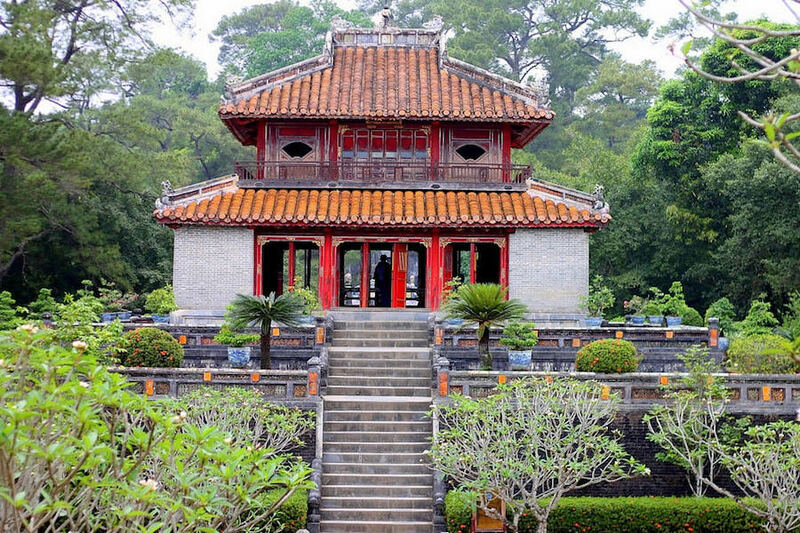 There are numerous things to do in Hanoi, but if you don’t have much time on your hands, we highly recommend visiting the hidden Imperial Citadel, which opened its doors to the public only very recently. Here you will be able to visit secret bunkers used during the Vietnam War and enjoy the peaceful surroundings. For spectacular panoramic views across the city, make your way up to the Rooftop Bar (83 Lý Thường Kiệt, Trần Hưng Đạo, Hoàn Kiếm, Hà Nội). A beer and a cocktail will set you back around $17 but it’s worth a little splurge. The tribal villages deep in the Hoàng Liên Son Mountains of Northwest Vietnam are a must visit sight. Sapa, at around 1500 meters above sea level, is home to 4 ethnic minority mountain tribes. You will spot them easily due to their fantastically colourful traditional outfits. It’s also a starting point for the spectacular trekking routes in Northwest Vietnam. If, like us, always dreamed of seeing the overhanging rice terraces, you will love this place! 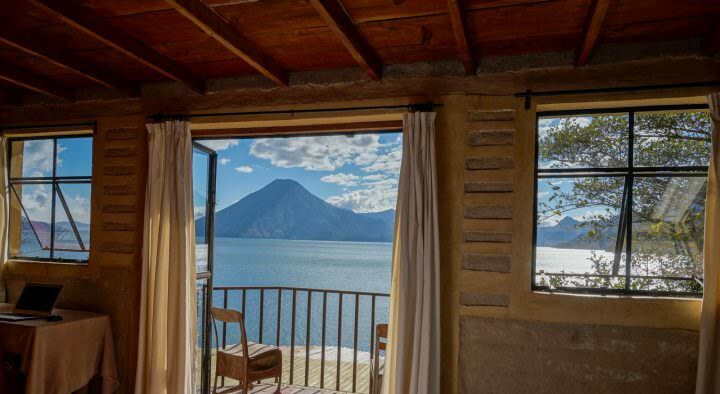 To have a truly memorable experience, book yourself into one of the home-stays and sleep, eat and trek with the locals. We stayed in Ta Van village just 10 km outside Sapa and this was one of the most unique experiences we had in our time in Vietnam. Arrange a 1 or 2 day trekking tour with your host or a local trekking company in advance and immerse yourself in a journey through rice terraces you’ll never forget. 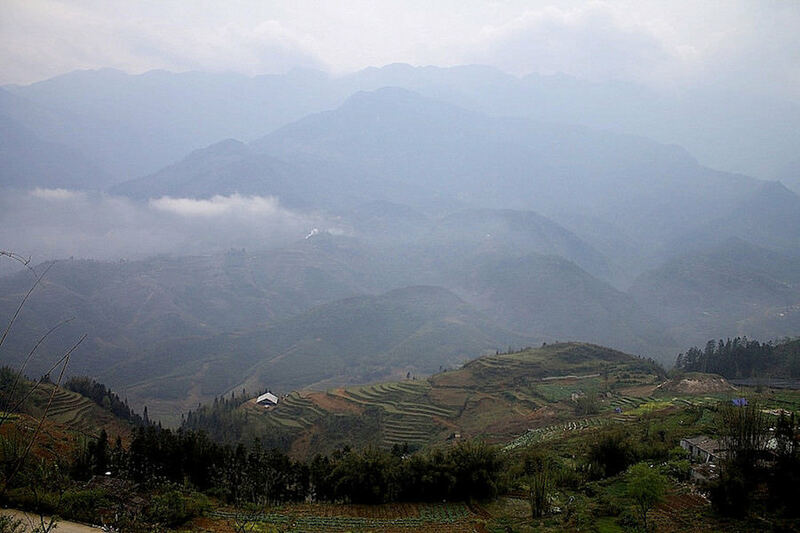 Even though the mist may never leave Sapa and its surrounding village, spring/summer is the best for trekking. Winter months here can be rather cold, misty and muddy. The ‘Descending Dragon Bay’ in the Gulf of Tonkin is a UNESCO world heritage site and is absolutely worth visiting. The journey through thousands of limestone isles in all shapes and sizes, which have evolved over 20 million years, is jaw dropping. 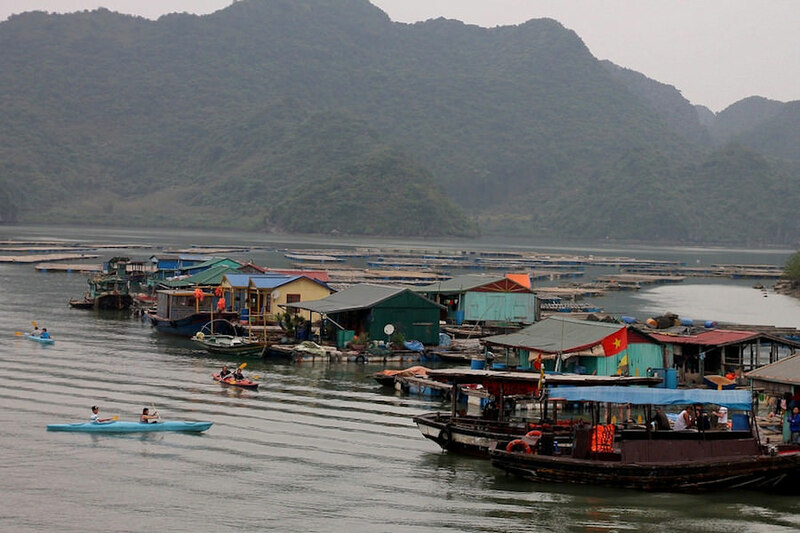 A unique and rare site to behold are the floating villages, which have existed here for many years with fishing being the prime source of income for the locals. 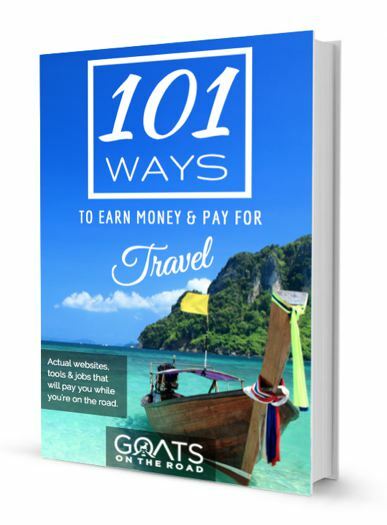 Depending on your budget, you can join a Ha Long Bay cruise, or hop on a junk boat. Both of which will make a stop at one of the villages, or you can reach it by a kayak from Cat Ba island. If travelling to Cat Ba island, simply take the local ferry, it will be way cheaper than taking a touristy junk boat. The journey takes around 45 minutes from the Tuần Châu ferry terminal and peacefully carries passengers across the scenic bay. Located in central highlands of Vietnam, Phong Nha is close to 5 spectacular caves within the UNESCO World Heritage Site of Phong Nha-Kẻ Bàng National Park. The best way to explore the breathtaking national park is on a motorbike. Just like in the rest of Vietnam, it’s easy and fairly cheap to rent one. Having a bike gave us the freedom to whizz around the area on our own terms. Thousands of visitors flock here every year to explore the underground wonderland. The caves are truly spectacular and cater for both, extreme adventurers and occasional explorers. The Paradise Cave is one of easiest to visit on a motorbike, without needing to book a tour. If you are adventurous, check out the Chay River – Dark Cave. 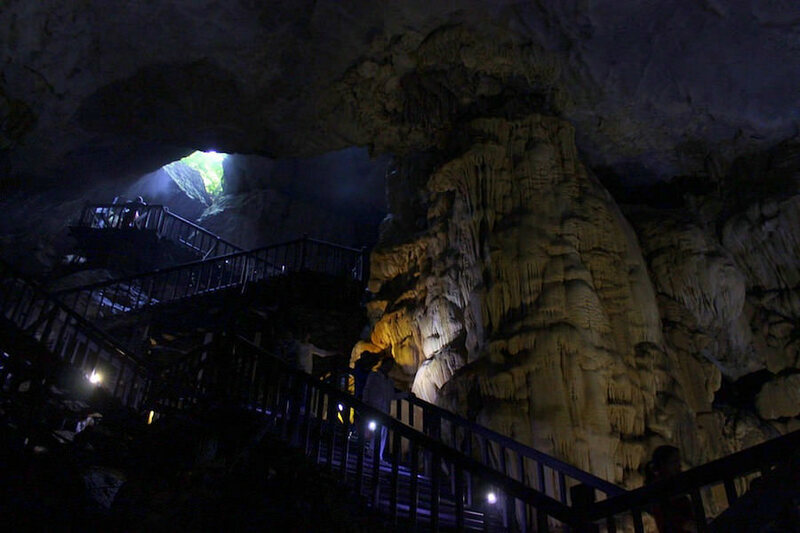 The tour includes a 400 m zip line from the wildlife observation centre to the Dark Cave entrance, followed by exploration of the cave with headlamps and other special equipment. 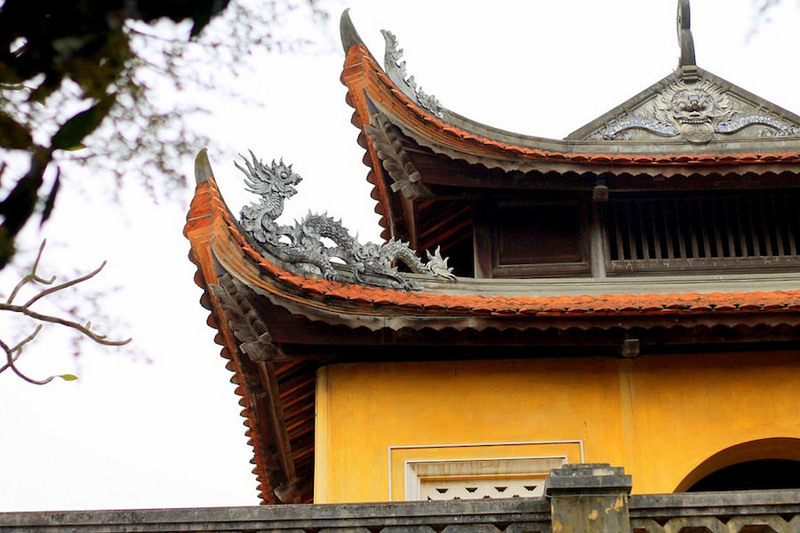 We really loved Hue for its stunning Imperial Tombs of the Nguyen dynasty, who ruled over Vietnam from 1802 until 1945. There are several separate tombs along the Perfume River and we highly recommend exploring as many as possible. You can either get an organised tour or do it yourself by hiring a scooter like we did to make it a fun day out. 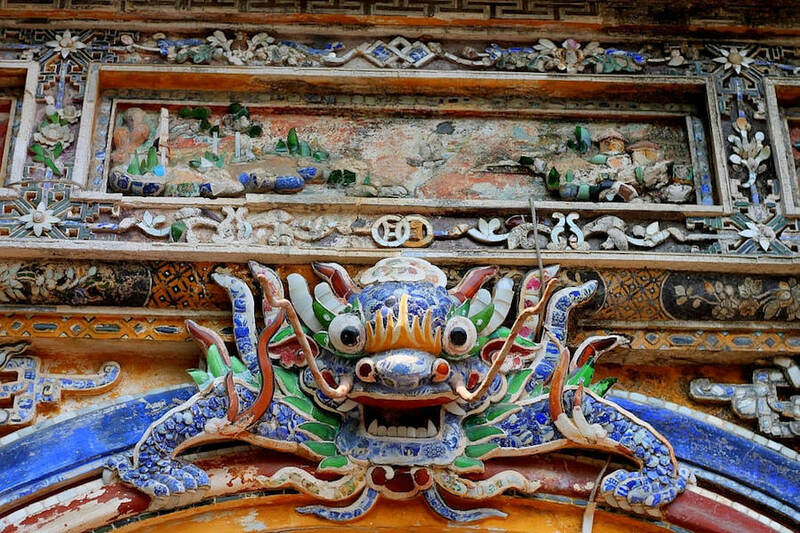 There is also a ‘Forbidden Purple City’ just waiting to be discovered in central Hue. Sadly much of the city was flattened by heavy fighting and bombing during the Tet Offensive of January 1968. But don’t let this put you off from visiting this UNESCO World Heritage Site, there’s still a lot to see and learn, just use your imagination a little. 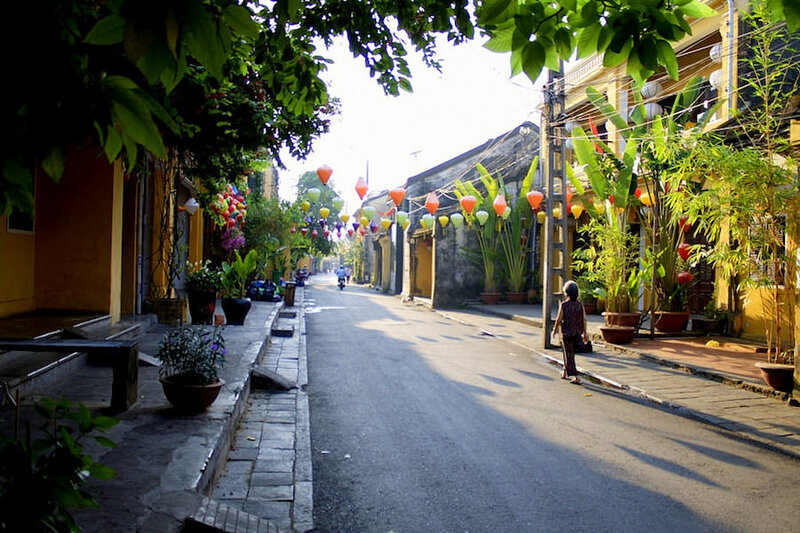 A place no one should miss while visiting Vietnam is the glorious coastal town Hoi An. Dotted with restaurants, cafes, tailor shops and restaurants, the Old Town is a gorgeous place to spend a few days or even more. The tantalising lanterns of all shapes and sizes light up in the dark to transform the town into a magical scene. Time your visit with the Lantern Festival which usually takes place on the 14th day of each lunar month but that can vary so check in advance. 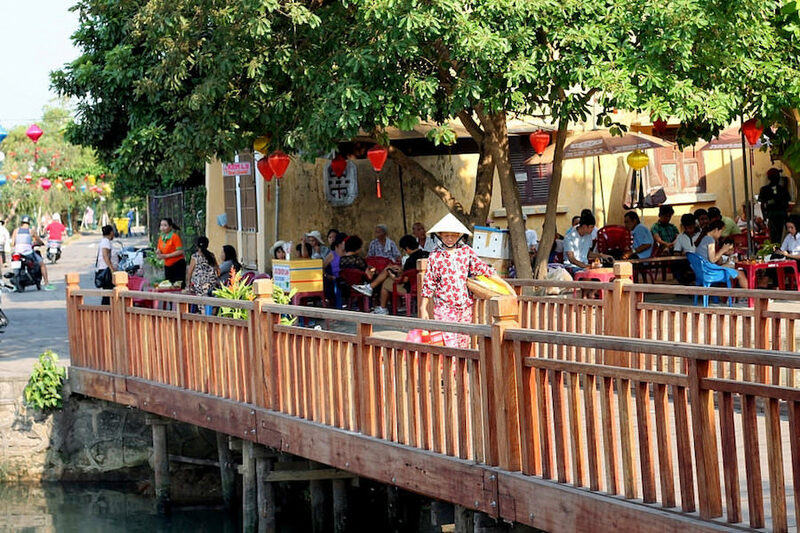 To see the true Hoi An, free of noise, visitors and traffic, get there early in the morning just after the sunrise. It’s an extraordinary experience seeing the town awaken. The walls are painted with the colours of the rising sun and the local families enjoy breakfast before opening their shops. Join them and indulge in your morning coffee at a local food stall. At the southern end of Vietnam sits Saigon or Ho Chi Minh City to give its official title. A cauldron of sights, smells and sounds, the fast pace of the city can be a little overwhelming at first. This is a place that’s going at full pelt to distance itself from the troubles of the past. In the downtown area you can haggle alongside locals at the busy Bến Thành Market which is home to a great selection of goods and cheap eats. Also worth a look are the French colonial buildings nearby such as Notre Dame Cathedral and stunning Old Post Office. For a taste of the Vietnam of the future head to one of the numerous new shopping malls or get a bird’s eye view from atop the Bitexco Building Sky Deck. 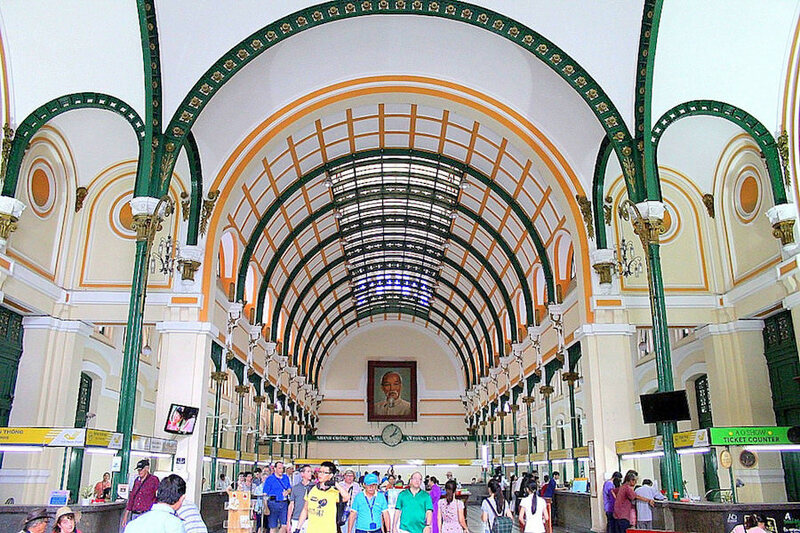 Saigon is also a great base for visiting nearby sites such as the famous Củ Chi Tunnels, which is a massive network of underground tunnels that were used as hiding spots by the Viet Cong soldiers during the Vietnam War. 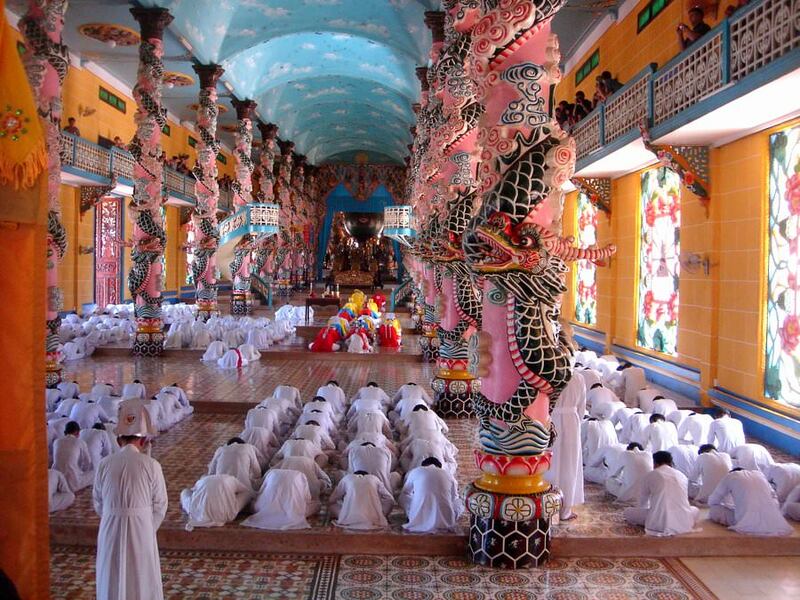 Another must-visit site is the The “Holy See” temple in Tây Ninh. This the centre of the main Caodaist church, and is about 90 kilometers from Saigon. Whether you visit just one, or all, of these top sites in Vietnam it’s sure to be a country that will leave a lasting impression on you. Vietnam’s natural and manmade sights are incredible, the food is tasty, and it’s a very affordable country to travel in. Enjoy! Hi, we’re Charlie and Kristina and we love to travel. 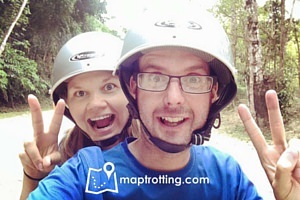 We love travel so much that we started our travel blog Maptrotting.com to help others to work less and travel more with tips, advice and inspiration. During a 2 week trip to Cuba in 2015 we had an honest chat on the beach one night and decided to change our lifestyle to one of travel. We soon realised it wasn’t just the rum talking and made a plan to quit the 9 to 5 and are now location independent. We love to inspire others to get our there and explore our amazing planet. Come and say hello on Twitter, Facebook, Instagram, Pinterest and YouTube. Charlie and Kristina love to travel. 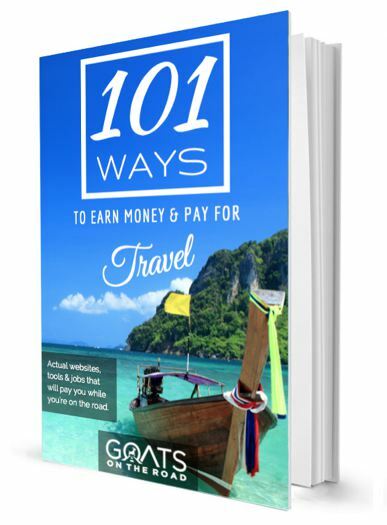 They love travel so much that they started their travel blog MapTrotting to help others to work less and travel more with tips, advice and inspiration. During a 2 week trip to Cuba in 2015 they had an honest chat on the beach one night and decided to change their lifestyle to one of travel. They soon realised it wasn’t just the rum talking and made a plan to quit the 9 to 5 and are now location independent. They love to inspire others to get out there and explore our amazing planet. Thanks guys for this list of places to see in Vietnam! Very helpful, I am leaving to Vietnam in 2 days, can’t wait to go! The Lantern Festival in Hoi An sounds amazing! We were pleasantly surprised by Vietnam. 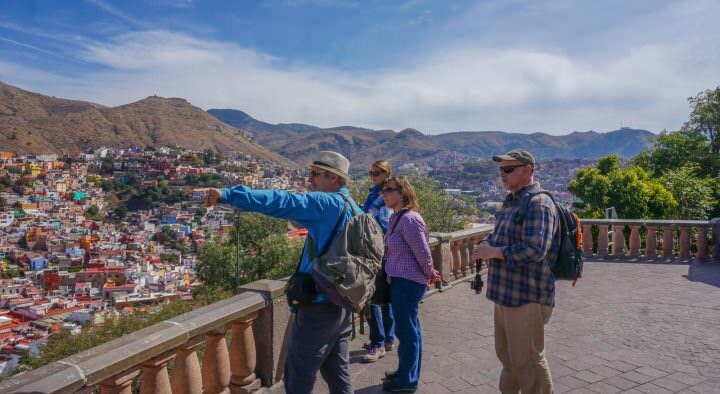 Prior to visiting, we had heard stories about how tourists are always ripped off and how locals are rude and unfriendly. What we found couldn’t have been more different. Wonderful people, delicious food and some of the most beautiful places we have ever seen. We visited Saigon, Hoi An, Hue, Hanoi and Sapa – and we loved them all! And all for different reasons. Such an incredibly diverse country! And except for a nightmare trip to Halong Bay (where we had to argue a lot of get our money back), we didn’t experience any problems at all. 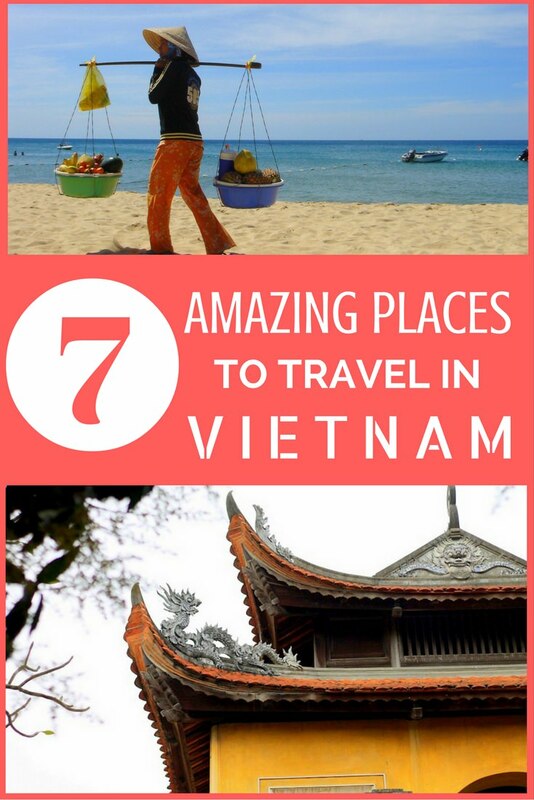 We’d love to return to Vietnam one day to check out all the other places we didn’t get time to see! Too many places, not enough time! Thanks for your comment Karianne. We agree too – everyone said that Vietnam was full of scammers and to be aware of everything and everyone. We had such a good experience there…well, except for dengue fever! haha. But regarding the people, tours, sights and food, we were very pleased. Wow Vietnam! What an awesome country to experience. It is so diverse and I agree contrary to popular travel rumours, it’s a super friendly country with incredible scenary and sensational food. A great indepth article summarising it well, thanks Map Trotting. 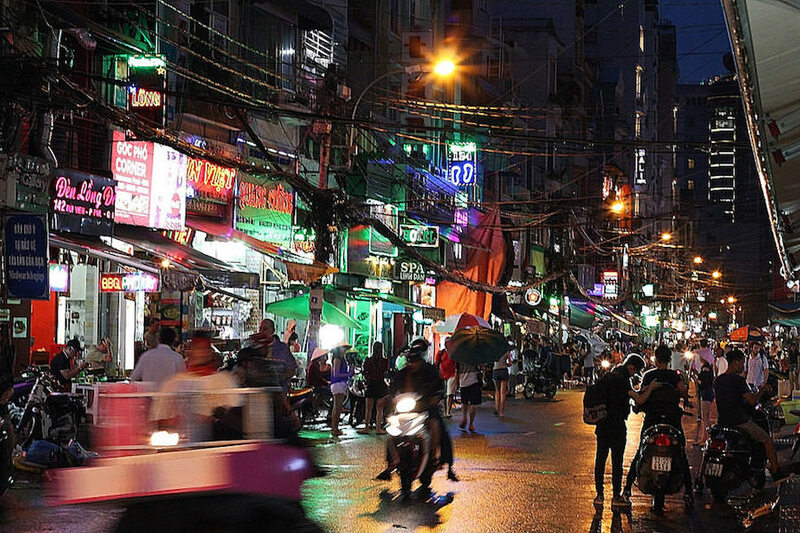 I loved Vietnam and I have been to most the the cities you’ve mentioned. Hoi an was my favorite for sure! I loved Vietnam – visited in 2012 🙂 Hoi An was my standout favourite, followed by the Mekong Delta. Incredible people, amazing food and fascinating history. You’re showcased it really well! We really enjoyed our trip as well! Some people have negative things to say about Vietnam and have some not-so-great experiences, but our month there was really good 🙂 Hoi An was awesome! Thanks for commenting. 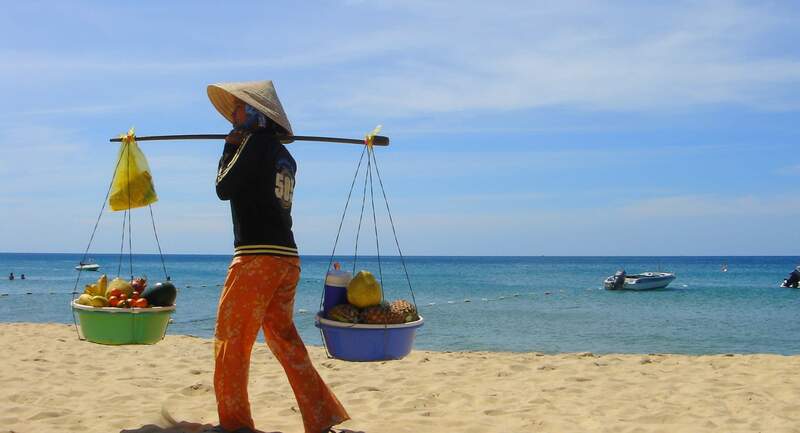 Wonderful and quite engaging blog and a big thanks for sharing.Apart from these amazing places one should definitely visit mui ne.It has some beautiful beaches and resort and one such resort is bamboo village resort.This resort is considered as the best resort in mui ne. You’re right, that’s 7 great places. And visit Nha Trang, Phu Quoc If you have more time. I scored a 6 out of 7 haha. 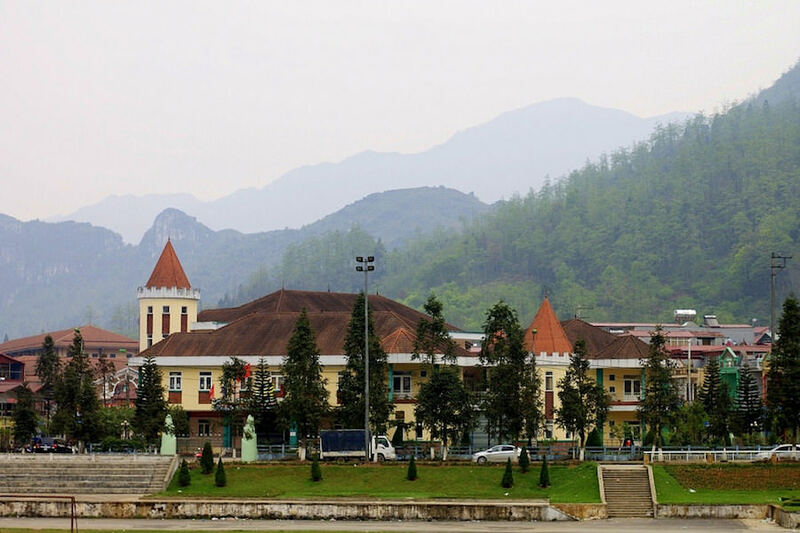 Unfortunately, we never made it to Sapa because the weather was bad. We have been twice this year. We returned to Hoi An to spend our last week in Asia because we loved it so darn much. Loved everywhere else you have mentioned <3 Great post!